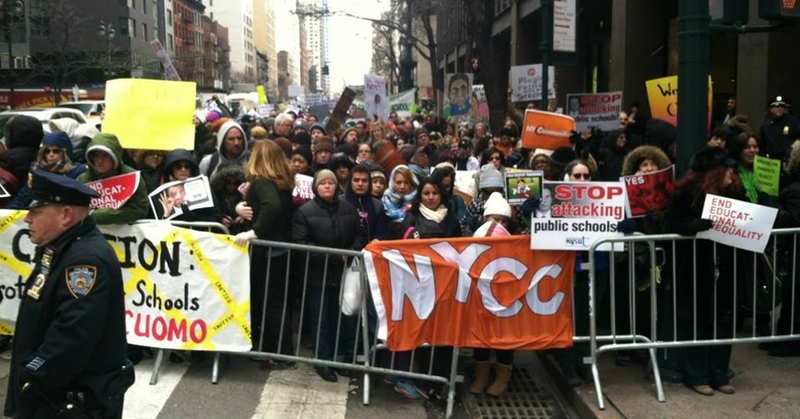 New York State has been in the throes of a battle over school funding tied to reforms proposed by Governor Andrew Cuomo. In fact, reports Rosalie Friend of Save Our Schools, Cuomo has pledged to break up traditional public schools which he considers a monopoly. Caps on charter schools and tax breaks for parochial school families were removed from the bill. But some reforms — including new educator evaluations and roll-back of tenure protections — were approved, along with the state education budget, late on Tuesday night. Rosalie Friend, Ph.D., is Information Coordinator for NYC’s Save Our Schools and active with the national Save Our Schools March. 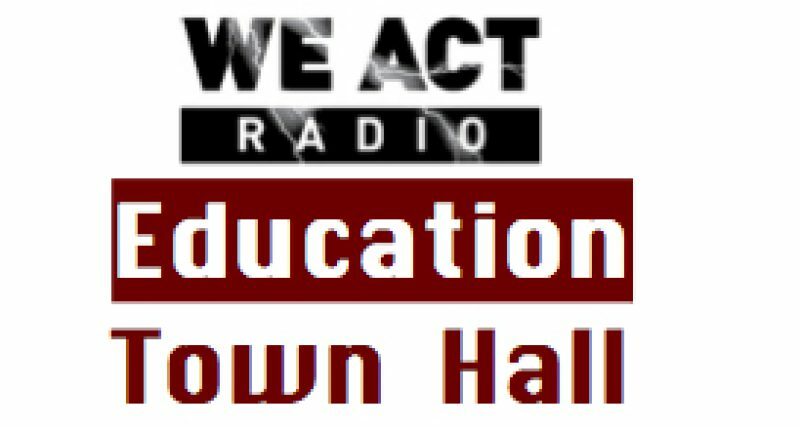 She joined the Education Town Hall on April 2 to help listeners unravel the proposals, the push back, and what’s next for public education advocates. Thanks to regular listeners and to Rosalie Friend for your patience as a variety of technical mishaps led to previous postponement of this segment. UPDATE from Rosalie: I wanted to tell you of one more action in response to Governor Andrew Cuomo’s attack on teachers and public schools. NY Communities for Change has set up a group called Hedge Clippers to hold demonstrations in front of the homes of hedge fund managers. See NYT article here.